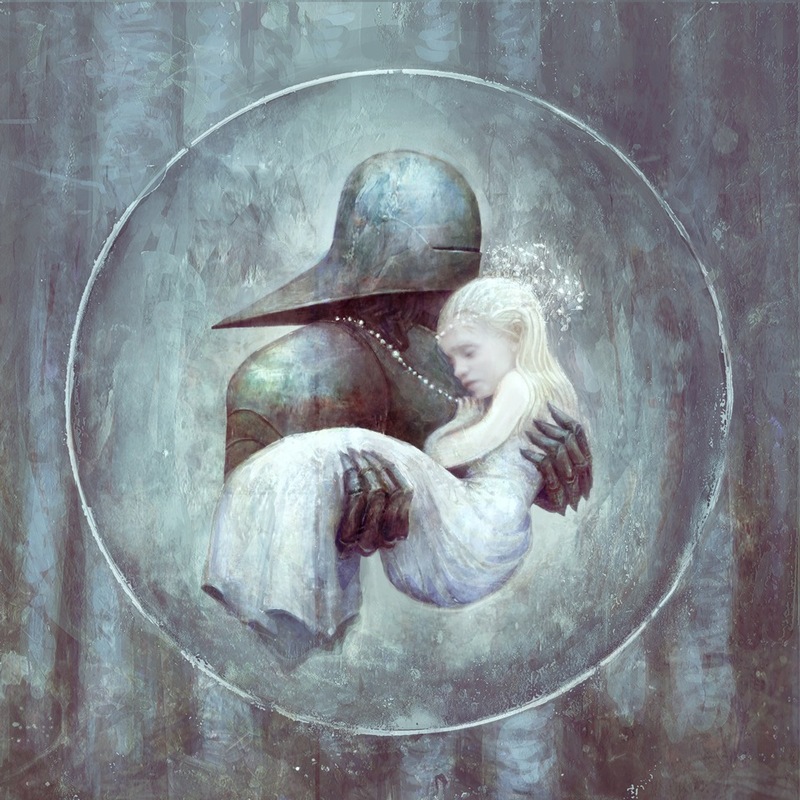 I’m quite excited to present some amazing work by Montreal artist Seb McKinnon, starting with the little collaboration above. 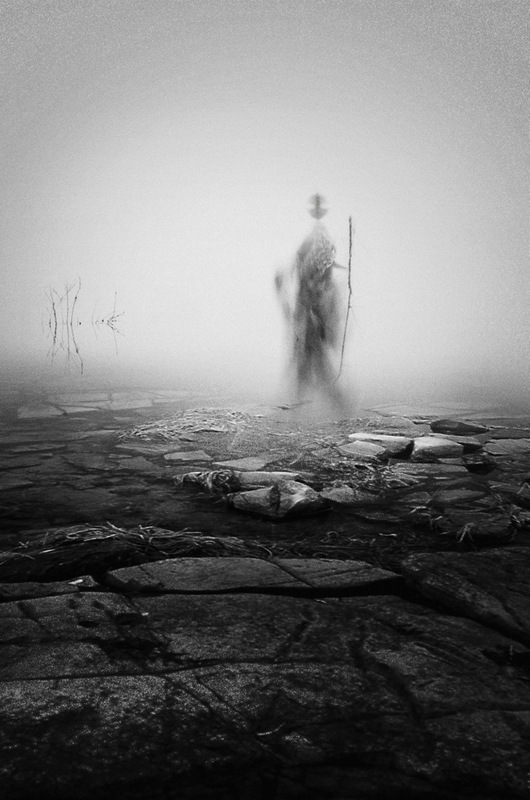 To create this image Seb worked by shape-shifting three of my photographs together until he conjured up an ethereal fog spirit in the landscape. I think this technique is illustrated very nicely when one travels through the collection of artwork on Seb’s blog, which I have had the pleasure of following for the past few years. Back to the little fog spirit. It is part of much bigger story; Seb is no ordinary illustrator. He, and his brother, filmmaker Ben McKinnon, have been working together on a gorgeous trilogy of short films called KIN Fables which bring together Seb’s extraordinary artistic vision, Ben’s outstanding cinematography, and a myriad of other talented collaborators. Even the haunting music score (Clann) that runs through the eight minute film was composed by Seb. I hope you take a few minutes to experience the magic of the first film, KIN, which has already won some cinematography awards and was recently featured as a Vimeo staff pick. You won’t be disappointed! To help support the making of the next two films, Salvage and Requiem, the McKinnon brothers have a Kickstarter campaign on the go until the end of March. 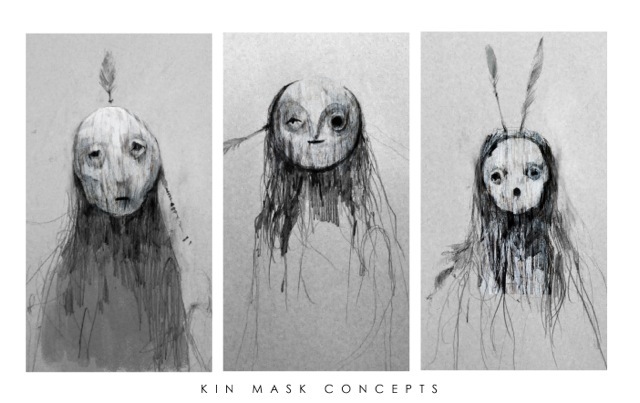 You can visit their Kickstarter page here to learn more about the trilogy, and to see some of Seb’s inspired artwork made just for KIN Fables and contributors to the project. I’m honoured, too, to have been invited to collaborate artistically! I’ll be making some photographs to support the multimedia aspect of the project, which, along with photography, includes a graphic novel, a full length music album, and paintings and illustrations. You can watch the Kickstarter video below to find out more about this inspiring project, and you’ll “meet” the McKinnon brothers too! This where the power of community and collaboration come together and make things happen. Karen, thanks for the intro. Ethereal, magical, and mystical. A pleasure, Elena. All those words and more! This absolutely blows me away. Incredible. I’m without words. That’s exactly what I said the first time I saw the KIN video. This is amazing! Thank you so much for sharing this, Karen. Absolutely impressive work! I agree, Anette, it’s very inspiring work! Yes, such quality work! Thanks for taking the time to read this. Congratulations with an exciting collaboration, Karen. Yes, I’m looking forward more collaboration, thank you, Bente! So exciting! I can absolutely see your work fitting here..brilliant! That’s really great. I’m excited. I love how these sort of connections happen. Thank you for helping to spread the word, its really appreciated! Boom. Gorgeous. I’m in a cafe without ear buds but will gobble the videos when I’m home. Bravo! Oh, you will love the film work, I’m excited for you see it!
. . . but a stark reminder I am far from the forward edges of creativity . . . These impressive, enchanting, wondrous pictures are the last ones I see before I go to bed… I will have extremly interesting dreams tonight! Very exciting, absolutely love Fog Spirit! It sounds like this will be a great collaboration. I must look into his work some more, thanks for sharing the links. A good collaboration can lead to all sorts of exciting and unexpected results. There is a lot to look at in the top image, there is a sense of being way above the world, and an unknown world. Liked the image of the collaboration. The technique of creating and distilling chaos is a fascinating use of generative techniques. Intriguing work! wow. this is amazing. and very eerie. All of the threads to this lead to an electrifying centre. How beautiful. Congratulations Karen! What an incredible pairing of work. Working in collaboration with talented people is always a revitalising experience. I second Anna Warren’s comment. Superb! I love your collaboration – the lightness of touch by both of you is just perfect. Seb’s blog is great too! wow – great collaboration and what a wonderful opportunity for you all – look forward to seeing some more of your beautiful images as the work develops. Wonderful film and music! So exciting that you can help with your pictures and so on to the prosject 🙂 You will do it well – love your style, Karen. Great news. Amazing creative project & excellent production values. Wonderful write-up! Looking forward to reading more of your postings.